A survey also revealed one in ten workers have kissed a colleague at the annual office bash. IT’S THAT TIME of the year again folks, when for one night only it’s perfectly acceptable to get drunk, swap pound shop gifts with co-workers and tell your boss you’ve had inappropriate dreams about him. In a new survey of 2,000 people by One4all, one third of Irish workers admitted to drinking too much at their work Christmas party. Some 17 per cent confessed they were left red-faced because of something they shouldn’t have said and one in ten were seduced by the mistletoe and kissed a colleague. However Irish worker’s don’t have much love for their commander in chief with only two per cent admitting to kissing the boss. The recession has hit the Christmas spirit in Irish workplaces with only 35 per cent doing a Secret Santa with their colleagues while 65 per cent do not swap presents with their workmates at all. Gift cards and vouchers were the most popular choices for those who do exchange gifts followed by chocolates and mugs. Email “One third of Irish workers admit drinking too much at their Christmas party”. 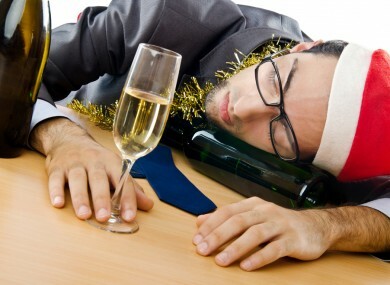 Feedback on “One third of Irish workers admit drinking too much at their Christmas party”.